When you are by yourself, overseas, away from family and friends; the one person you’ve been hoping to hear from doesn’t make any contact; and suddenly you get really sick, all the emotions come afloat and make you feel alone. I’ve done this trip several times already, and have never felt homesick like I did that night. Sick in bed, in a foreign country, without knowing what to take, where to go… I felt alone. 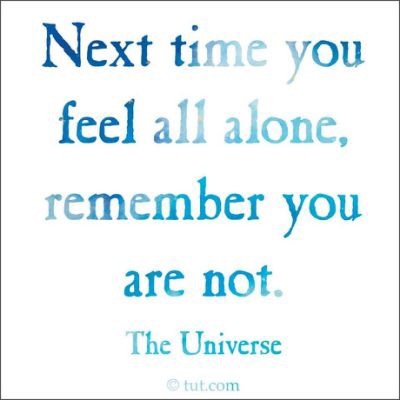 Thankfully, (like my grandmother says) and I should have know, I am never alone. There is always someone watching over us and this time I felt so blessed and loved. In this world of technology you are never far away from home. There’s nothing more comforting than a mother’s love so I immediately WhatsApp her. She quickly went on Google looking for symptoms and remedies, and where I could get what I needed. The concern of the rest of my family made me feel taken care of, even if from afar. Little did I know that the people I do business with were out looking for remedies for me too and, later to find out, even looking for doctors/ hospitals for me if needed. They came to the room with supplies, sincere concern and best wishes to help me get better. Seeing all this, made my homesick feeling go away. Made me see, once again, how wonderful people can be, in this sometimes dark and horrible world. Even though sick, I kept my meetings and appointments, dinners and networking events. After all they had done for me, the best I could do was put on a smile (which wasn’t hard at all with them) and keep going. At the end, this paid off. Not only did I get to see the wonderful side of these people again (they kept taking very good care of me) but, had great conversations (after translations :p) and hopefully strengthened our business relationship. I guess writing this here is a way of thanking them all, once again, for their hospitality and care, and to remind myself of not looking at the dark/ negative side of things. A reminder that I am never alone, there’s always a light and it will shine on you.